I like to cook on all kinds of grills: Charcoal, Gas, Pellet, Wood- anything involving cooking over fire! Green Mountain Grill Pellet Smoker: In my opinion, Green Mountain Grills make the best pellet smokers on the market. If you are interested in learning more, check out my Green Mountain Grill Daniel Boone review here, as well as Green Mountain Grill Pellet Smoker Recipes here. Big Green Egg – Large and Mini Max; Jon Solberg did an entire series on How to Use Your Big Green Egg for those who starting their EGGhead journey. You can read the Big Green Egg “How To” series here. 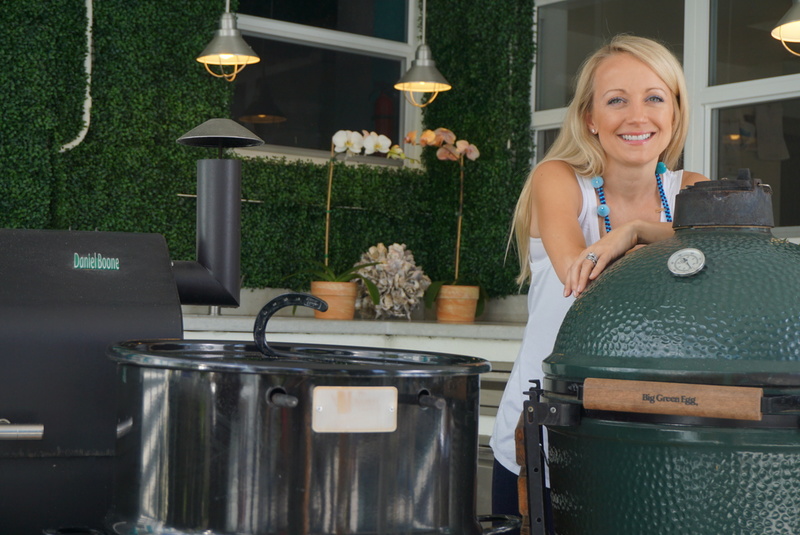 You can check out the Big Green Egg Minimax Egg Review here. PK Grill: The PK Grill is a cool, vintage inspired cast iron charcoal grill that has become really hot on the Steak Cook Off Association Circuit. Read my review of the PK 360 Grill here. Pitbarrel Cooker, PitBarrel Cooker Junior: The Pitbarrel Cooker is a a barrel cooker that makes it super easy to smoke-roast or grill just about anything! You can read my review of the PitBarrel Cooker here. You can find PitBarrel Cooker recipes here. Lodge Sportsman Grill: this is the coolest hibachi style cast iron grill made by Lodge Cast Iron. Check out our review of the Lodge Sportsman Grill here. Weber Genesis: this is the grill that started this entire journey! I call my Weber Genesis my “gateway grill” as it was the grill that turned me on to grilling and all different types and styles of grilling! Weber Performer: The Weber Performer is a Weber Kettle with a propane starter attached that makes it easy to get your charcoal started in a flash! This is hands down one of my favorite grills for its ease of use! Weber Smoky Joe for tailgating: This is my go-to grill for tailgating and camping. Weber Smoky Mountain: This is the first Smokers I owned. Also, this is a highly versatile smoker since the bottom part can be used as a grill! I’ve seen people use this for a steak competition before! Masterbuilt Electric Smoker: An electric smoker is an easy way to add smoke flavor without having to worry about maintaining a fire. I also enjoy cooking over a campfire with cast iron! Follow me on instagram to see in the moment Grilling Shots!